Thanks to TitanUp Fitness™, our many local fitness, nutrition partners and wellness providers for participating in this BEST of list. Now time to GET FIT and Stay Healthy! Being active and staying healthy can be a challenge for busy families. 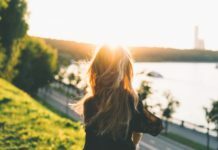 We have put together the best spots for wellness in Jax to encourage and educate families that when it comes to getting fit, staying on the right track for health and nutrition in real-life scenarios and taking care of ourselves as a whole, it can be easy! 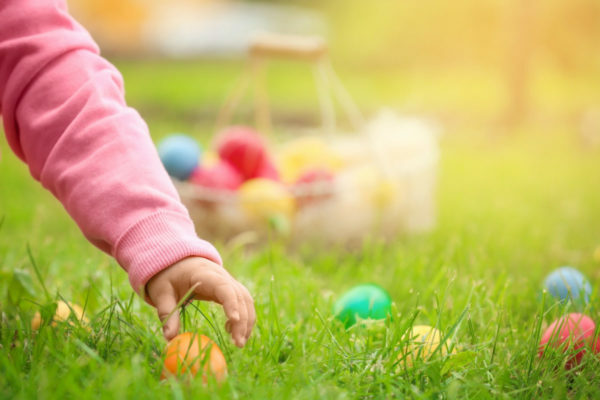 Whether you are looking for personal training, group and specialty classes, gyms with in-house childcare, fitness classes where you can bring your baby, an outdoor activity the whole family can enjoy – or guidance for health and nutrition, there’s something for everyone! TitanUp Fitness™ has perfected the art of private group fitness training. The 13-Week Program is the ultimate balance of strength training and HIIT exercises, shaping physiques in the shortest amount of time. 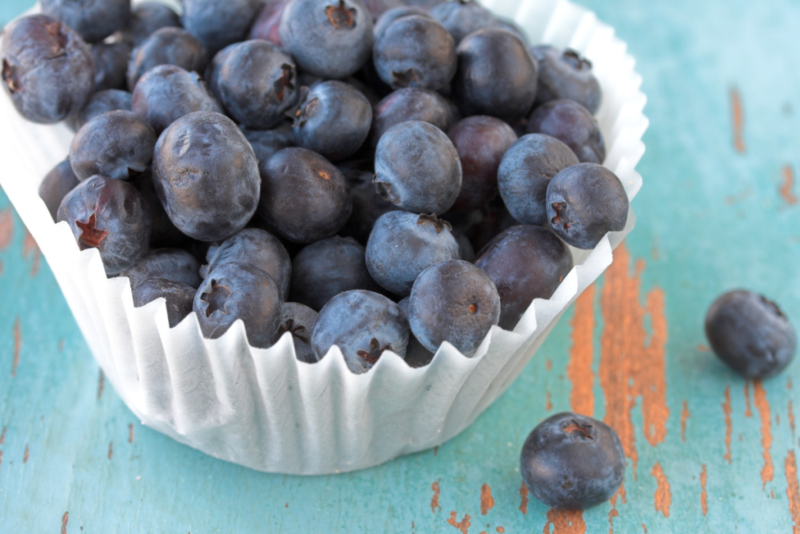 Take advantage of the Health Coach program for custom diet and meal planning. 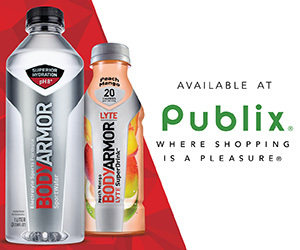 Choose from 3 locations throughout Jacksonville – Gate Parkway, Jacksonville Beach and Ponte Vedra/Nocatee. JMB Exclusive Offer: 20% discount off April 13-week Program enrolling through April 21st, kicks off April 22nd. Discount is off total $529 or register for 3 monthly payments for $129/month (total 13 week program). Every JMB reader to enroll in the next 13-Week Program will receive our NEW TUF Nutrition. Not just a diet sheet but a fully automated, digital nutrition course/program. Call 904-945-8663 for more information or questions. For a free trial class click here. PURE BARRE. The Original. Rooted in our classic technique, Pure Barre is the fastest, most effective full-body workout. You’ll be guided through a series low-impact, high intensity movements that are designed to strengthen and tone your body in ways that no other technique can. Give us 50 minutes and we’ll give you the best of barre – long and lean muscle tone without the bulk. PURE EMPOWER. More cardio. More ways to crush your goals. Pure Empower is a fusion of barre and interval training designed to elevate your heart rate, build strength and rev up your metabolism. For 45 minutes, you’ll use multi-directional, dynamic movements with ankle weights and a plyometric platform to target different muscle groups simultaneously – all at an invigorating pace. PURE REFORM. Inspired by resistance training. Perfected by Pure Barre. Pure Reform is a total body workout that targets, shapes, and defines all major muscle groups through resistance‐based strength training. The 50‐minute class merges the elements you love from our Pure Barre technique with moves that challenge your strength, coordination and balance by using resistance bands, sliders, and the barre. JMB Exclusive Offer (valid at Jacksonville studios only): First class is free in January! Jacksonville locations include: Riverside, San Marco, Ponte Vedra, Jacksonville Beach, Julington Creek, Fleming Island and Tapestry Park. Katie Hammill is a local certified nutritionist, mom of two, wife, kitchen renegade, fitness fanatic and avid car pooler. 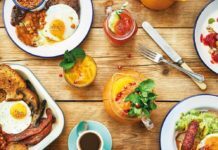 Her mission is to take the complex relationship we all have with food and simplify it for REAL life. She believes there is no one universal style of eating. We are individuals and life gets REAL very quickly, so sticking to a diet that doesn’t work for you is a waste of time. She works with moms and families from young to old, and beginner to aspiring athletes just like YOU to find the place where healthy feels great and is truly sustainable. As a mom, she knows it’s not easy to feed your kids with all the conflicting information out there. It is her role to decipher the good from the bad and share the true story behind the headlines. She wants to give you confidence in the choices you make when feeding your family. She offers both 1:1 consultations and online group programs allowing you to reach your goals. Follow along on Instagram at @katiehammillnutrition for delicious recipes, insights on the latest nutrition trends and a healthy dose of reality. 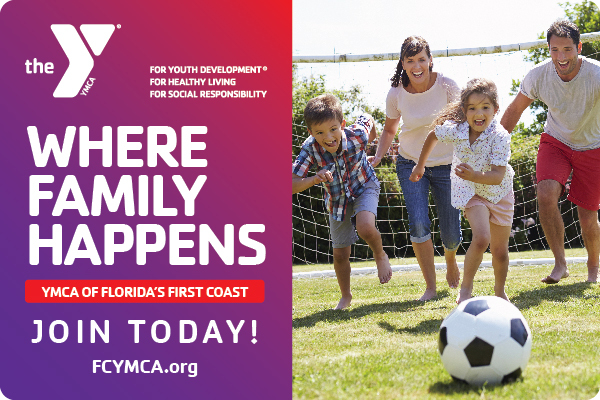 The Y has always been a place where families can play and be active together, and that’s more important than ever. We provide resources for busy moms and dads to help make the healthy choice the easy choice. From stretching and strength training to indoor cycling and yoga, you’ll find a class that’s fun, supportive and keeps you moving. While you’re working out, we’ll put more play in your child’s day at KidZone. They can engage in arts enrichment projects, educational activities, and kids fitness, all while creating lasting memories with new friends! We also provide educational classes to promote healthier decisions and offer a variety of programs that nurture the mind, body, and spirit for the whole family. F45 is the newest, most exciting training facility that has landed in Jacksonville Beach, originating all the way from Australia many years ago! F45 merges elements of High-Intensity Interval Training (HIIT), Circuit Training and Functional Training into each workout. This combination of interval, cardiovascular and strength training has consistently been proven to be the most effective way to burn fat and build lean muscle.Functional Training is the engagement in exercises that mimic or recreate everyday movement. This style of training builds and sculpts lean functional muscle through Lifting, Squatting, Jumping, Twisting, Pulling, Pushing, Punching, Kicking, Rowing, and Biking. All of these movements can be found at F45 Training!F45 Jacksonville Beach is for everyone! No matter your age, ability or health and fitness goals, F45 will help you accomplish it. Mondays, Wednesdays, and Fridays are cardiovascular and agility focused. Tuesdays, Thursdays, and Sundays classes center around strength and resistance training. Saturday workouts are a hybrid of cardiovascular, agility, and strength training. No class is ever the same, and all exercises can be modified depending on fitness level.F45 offers four eight-week challenges throughout the year. The challenges include a comprehensive nutrition plan to maximize workout results as well as a body scan on a Fit3D Pro Scanner at the start and end of the challenge. The total body scanner has a rotating platform that images the entire body to precisely determine weight, accurate measurements, body fat percentage, posture and bone density. Scan results are private and emailed directly to you. 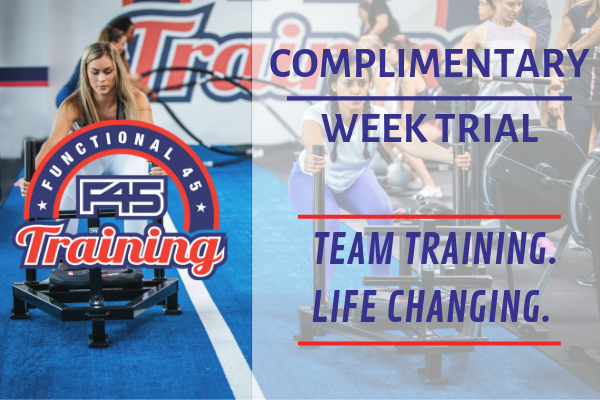 F45 provides team training and life-changing results!Sign up for a free 1-week trial here. Read JMB contributor Meredith’s review of F45 Training here. Orangetheory Fitness is a one-of-a-kind, group personal training workout broken into intervals of cardiovascular and strength training. Backed by the science of excess post-exercise oxygen consumption (EPOC), Orangetheory Fitness’ heart-rate-monitored training is designed to keep heart rates in a target zone that stimulates metabolism and increases energy. Led by skilled instructors, participants use a variety of equipment including treadmills, rowing machines, TRX Suspension Training, and free weights, burning an average of 900 calories per class. The result is the Orange Effect – more energy, visible toning and extra calorie burn for up to 36 hours post-workout. JMB Reader Offer: For a limited time, sign up for the 8 week Transformation Challenge for a special price, $199 (1/21-3/17)! HURRY! 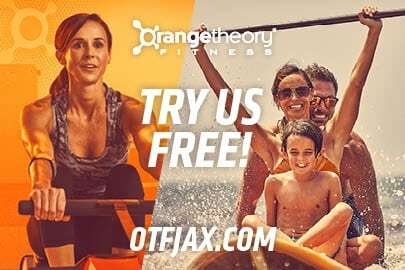 Call (904) 238-5272 or visit Orangetheory.com to find studio near you. Get more results, more confidence & More Life. 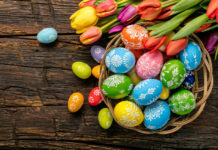 Special rate until January 17, 2019. Join the Body and Mind Revolution and become your Absolute Best! For a limited time only purchase our Absolute Best Unlimited Monthly Auto-Renew membership for just $199! Our methods include: rev (indoor rhythm based cycling! ), body (barre-style class), bounce (on the trampoline! ), and mind (our hammock style restorative class). For more in-depth descriptions of our classes please visit: jacksonville.definebody.com. We are now offering Define Kids, available during select class times with reservation, child must be 1 year old and $7 per child. Contact Studio for more details on scheduling. Ask our front desk about New Client specials we have going on, and you’ll be well on your way to defining your absolute best fitness journey! Located at 1854 3rd Street South, Jacksonville Beach, (904) 853-6324. 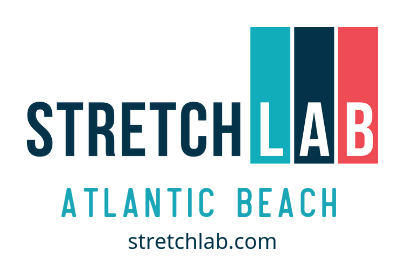 StretchLab is a boutique fitness that offers one-on-one assisted stretching services in a fun, energetic, communal environment. It is designed to increase mobility and flexibility, helping to reduce pain, decrease muscle aches, improve posture, reduce recovery time and enhance quality of life. Stretching is for all types and ages. 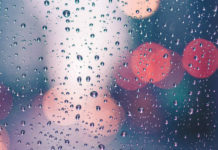 Located in the heart of the Beaches of Jacksonville in Neptune Beach the warm Yoga Mix studio atmosphere and inspirational music allows for the entire experience to come together. We offer two studio spaces under one roof. Our Sun Studio provides all of our warm and hot classes and our Moon Studio is non-heated and offers all of our therapeutic classes. With 50+ classes per week and 10+ varieties including prenatal and kids yoga, you are sure to find everything you need at the Mix. New students can take advantage of our Intro Offer $29 for 30 Days Unlimited! From one-on-one coaching to community yoga and boot camp, True North strives to help you achieve your health, fitness, and dietary goals. Group classes provide opportunities to build connections in a community-driven and inspiring environment. Personal training and health coaching allow for a more holistic approach in creating and implementing a plan that moves you towards your personal wellness goals. Check us out on Facebook to find upcoming classes or contact us directly to chat about your personal goals and how we can help you achieve them. 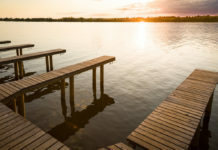 Jacksonville Surf and Paddle offers a wide variety of surf, stand up paddleboard (SUP), and fitness classes specifically designed to meet your individual needs. With easy access to both the beach for surf lessons and the Intracoastal Waterway for SUP, your next lesson is just minutes away. Whether you are looking for a private beginner surf lesson or advanced competitive training for your aspiring surfer, we have a class that’s right for you. Our lessons, classes, and training programs are designed to help you master board fundamentals and to lay a foundation for a more healthy and active lifestyle. Dietitians of Palm Valley offers one-on-one individualized counseling, grocery store tours, online nutrition courses, and more! Click here to schedule your Initial Nutrition Consultation. 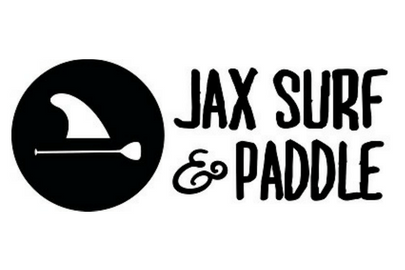 Make sure to enter “jaxmomsblog” at checkout for 20% off! Full Psycle provides an unparalleled fitness experience for everyone. Whether you’re a new mom looking for a fun workout in luxurious ambiance, a serious athlete training for a marathon or triathlon, a fitness enthusiast looking to try something new, an individual looking to shed some weight and tone up, or you’re just looking to meet some amazing new people, then Full Psycle is the place for you. 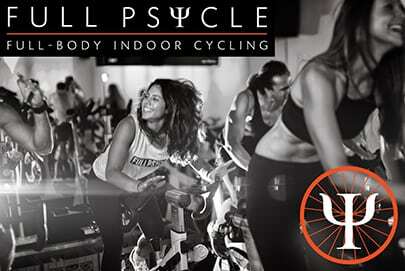 One goal, one passion, one inspiration- to create the ultimate indoor cycling workout. Not just any workout – an epic full-body and full-mind experience that BURNS maximum calories, STRENGTHENS the core and upper body, allows you to TRACK your performance over time for a true quantitative measurement of progress, and INSPIRES you. 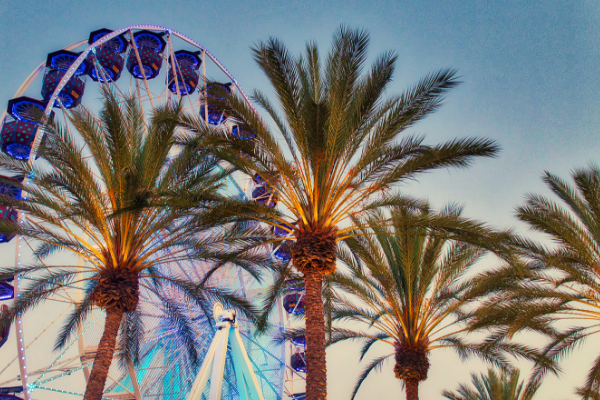 Best of all, your first ride is FREE! 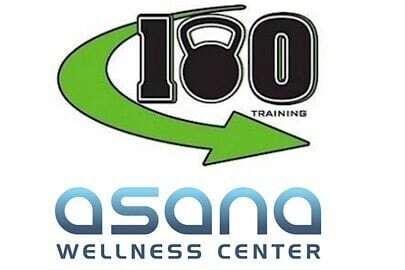 Come workout with 180 Training at Jacksonville’s Premier Indoor/Outdoor Training gym, Asana Wellness. Where training is a passion and your goals are the priority. Using state of the art 3D Scans and a top-notch training facility, 180 Training will make reaching your goals easier and more exciting than ever! JMB READER OFFER: Receive 1 Free additional Personal Training session when you sing up for any Personal Training Package. 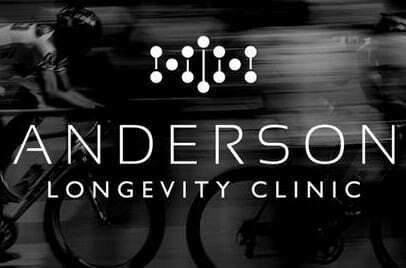 Anderson Longevity Clinic is committed to helping every patient live their best life. That philosophy is what led Dr. Anderson, and a dad of four, to become a doctor of osteopathy. As a licensed physician with a doctorate from the Philadelphia College of Osteopathic Medicine who has the qualifications to perform surgery and prescribe medications, Dr. Anderson can help you look and feel better — and he feels strongly in taking the preventative approach to medicine. He provides a variety of services for both men and women including low testosterone treatment, growth hormone deficiency, platelet-rich plasma and prolotherapy, micronutrient testing and functional medicine, aesthetic treatments like Botox, as well women’s hormone replacement. Everbalance Yoga, Barre, Pilates has two studios – one in Mandarin and the other (a boutique Pilates Reformer studio) – in San Marco. Both facilities have Reformer Pilates Balanced Body Allegro 2 Reformers, the world’s leader in Pilates Education & Equipment. The Mandarin location also offers yoga, barre, and mat Pilates classes. With attentive instruction and small class sizes, clients achieve the results they desire in the studios’ intimate, spa-like atmosphere. Tired of trying to figure our fitness on your own? Afraid of feeling unheard? We get it. 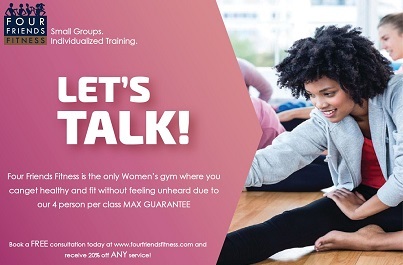 Four Friends Fitness is the ONLY Women’s gym where you can get healthy and fit without feeling unheard due to our 4 person max guarantee. Four Friends Fitness is a new concept in women’s personal training. We offer private and small group personal training. With each session, you’ll work through a customized program that will allow you to make steady progress towards your health and wellness goals. JMB Reader Offer: Let’s talk! No matter where you’re starting from, we’re here to support your journey. Our expertise and encouragement will help you crush your health and wellness goals. BOOK A FREE CONSULTATION TODAY! @ www.fourfriendsfitness.com and receive 20% off any service. 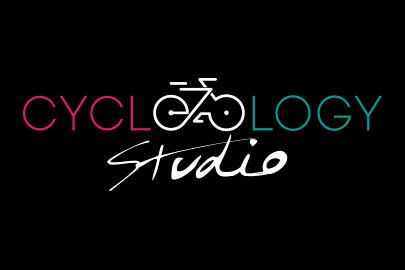 Cyclelogy Studio is a new indoor cycling studio located at Beach Blvd. that offers classes that benefit both, body and mind. Each training session is designed to challenge riders, help them reach their fitness goals while having fun and make them simply enjoy the ride. This is achieved thanks to the rhythmic music and energetic ambiance of the studio. Our goal is to make feel the rider as if they are on a “Friday night out” on a “Monday workout”. The studio has 14 bikes plus the instructor’s bike. We offer classes from Monday to Sunday at different schedules to fit everyone’s necessities. Every class is a bike dance routine but depending on the instructor is based on endurance, dancing and we even offer a couple of sessions a week of Latin vibes! The schedule is updated every other week but we always offer classes in the morning and at night every day of the week. Prices depend on the package, and prices start as low as $12 USD. 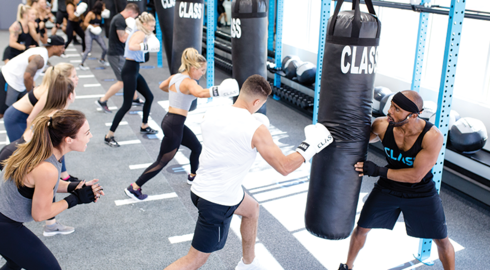 CLASS is a modern twist on traditional boxing and high-intensity interval training classes. Led by top instructors, you’ll be pushed through 50 challenging minutes leaving you sweaty, tired, but satisfied. Our two distinct yet complimentary classes, BOX and HIIT, offer something for everyone and keep your workouts fresh. By incorporating multiple different pieces of exercise equipment, workouts are constantly changing and evolving so you will never be bored. Burn up to 700* calories, build lean muscle, and watch yourself transform into your strongest, most confident self. The Busy Babes Bible workout subscription was designed with YOU in mind – AKA a busy entrepreneur, mom, college student, or all of the above. With quick, effective workouts and minimal equipment required, you’ll have no reason not to be able to fit your workout in to your busy lifestyle. Created by NSCA-Certified Personal Trainer, commercial/fitness model, brand ambassador, content creator and mental health advocate Savanna Rose! Want to be a part of our 2018 Best Spots in Jax to Work Out, Get Fit & Stay Healthy? We want to show our readers all the great fitness opportunities available right here in the Jacksonville area. Partnering with us allows your business greater visibility with a large targeted market of local families. 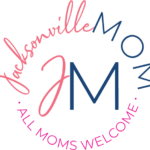 Join us and help enrich the lives of Jacksonville Moms! Any prenatal yoga or other classes you’d recommend?